Most moves do not go according to plan. We believe that that is because most people do not plan their move carefully enough. In our opinion, to achieve a successful move that is hectic-free, one needs to plan meticulously. Without a solid, concrete plan, the move is heading for a disaster. Here at Moving Service we provide each and every client with a moving checklist. Basically, all you have to do is tick off chores from the list that have been completed. This way, you will know what you have and have not done, and what you need to do. It adds structure to the move and saves you a great amount of hassle in the long run because you will not have to think about these chores mid-move. They’ll all have been carried out already. In addition to the moving checklist, our advisers help and support you every step of the way. They inform you of what you should do and answer any questions you have. However, what really makes our removals company stand out is our superb moving team. 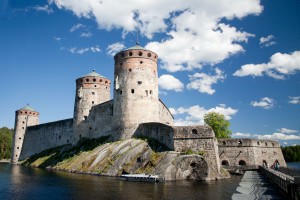 Our team of movers can make your move from London to Finland an utter delight. They’ll make it easy and stress-free. Get in touch today to find out more on 020 8746 4402. Finland is a country located in Northern Europe and borders Norway, Russia and Sweden. Finland is a beautiful country that boasts a great amount of unspoiled nature. Despite it being an incredibly modern country in terms of its technological advancements, Finns enjoy primarily the simple life which consists of relaxing by the sea, swimming and fishing. That is, when they have free time. In terms of landmarks, Finland has a big selection. 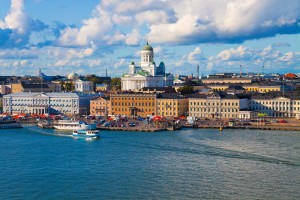 Here are a few places worth visiting: Central Helsinki, historical sites of Turku, Olavinlinna Castle, the northern lights, and the Suomenlinna sea fortress. Numerous festivals go on in Finland as well so if you’re here at the right time you must go and take part in one. The currency used in Finland is the Euro. As for its language, most people in Finland either speak Finnish or Swedish, or both. You will be able to find, in the largest cities, people who can speak English. For a Fast and Efficient Finland Move, Follow Our Advice and Hire Us! If you are moving from London to Finland and you are trying to juggle all the tasks that are required to move from one country to another, consider hiring Moving Service to help. Having a professional team of movers help you with your international move can really take the stress out of moving. You will not have to handle it all on your own. We have a great amount of experience in dealing with all sorts of moves; from city to city, from country to country; and so on. We really can handle it all thanks to our wealth of experience. We have also dealt with a number of moving scenarios, but we have managed to come through it. We offer an extensive list of removal services which are all carried out by our experts team here at our company, including packing, storage, home removals, man and van, and commercial moves. We offer all of these removal services at great prices. You can’t afford to miss out. There are so many advantages to using our services – we don’t want you to miss out. So call us today for a free quote on 020 8746 4402 and we’ll tell you more about the endless advantages.